Forget about Orange is the New Black, Oz, and the rest. 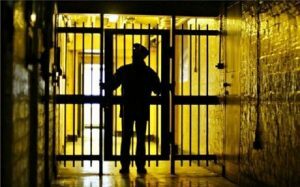 The Fedtime 101 prison survival program educates Defendants with the basics of surviving and thriving inside a Federal Prison BOP Institution. Defendant’s learn not just what should happen, but really happens and is based on fact and the knowledge of Prison Consultant Larry Levine and the experiences he endured while in 11 different correctional institutions serving a 10 year Federal Sentence in the Federal Bureau of Prisons. In reality, prisons are dangerous places and a breeding ground of lies, deceit and violence. While many believe they can rely on the prison staff for information and guidance, it generally isn’t true! Prison staff, other then when it comes to writing up inmates for disciplinary issues, would rather not be bothered, and only does the minimum when it comes to helping inmates deal with problems and issues, basically leaving the inmates on their own to figure out how things work. By taking the Fedtime 101 program, you will have an edge over others from the moment you arrive, in knowing what to expect, what the best jobs are, how to obtain medical care, and have the peace of mind of not making a costly mistake that can have lingering effects on your entire prison stay such as loss of good-time, visits, telephone use or commissary privileges. Call (855) 577-4766 and speak to a Prison Consultant now. Let us help you make educated decisions on your legal issues.